We have compiled a list of some of the most frequently asked questions to assist you with all your general garage door concerns. This will allow you to have a better grasp of garage doors, openers and their parts and various garage door services issues. That way you will be able to widen your knowledge and make sound decisions on related issues in this field. Can I replace the sections of door and keep the old springs and track? 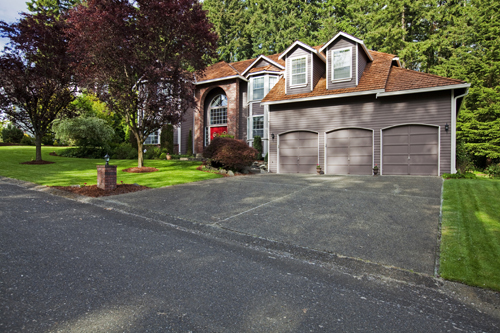 Our professional technicians recommend using the specified track and springs for garage doors. Every garage door installation should be done according to the best practices, and these include using only specified supplies that come with the door to avoid problems that could result to bodily and property damage. What should be the rough opening size of my garage if I am to build one? The rough opening should measure the same as the door you want to buy. It is recommended to fit the garage door against the rough opening from the inside. The latter is finished with stop molding or exterior perimeter seal to seal wind and rain out. Why is my garage door opener not working? There could be several reasons. Perhaps it’s a dead remote control or keypad battery, or misaligned sensors. The opener might also need to be reprogrammed. The photoelectric eyes should not be directly pointed at each other. Opener repairs are possible so you never have to worry since these are common scenarios. How can I tell if the garage door’s rollers are damaged? You can observe the garage door’s movement. If the rollers are malfunctioning, you will find it difficult to close or open the door. You may also hear some noise, especially if the door is stuck occasionally. Once you find out it’s in trouble, have it repaired immediately.